Removing password login or keeping it are decisions which you can only take. One improves security of your personal files, while other improves ease of use. Most of us don’t like entering password each time when they log into their windows PC. This may be required in certain cases where you do not want every one to peep into your files. But, if you live alone or you don’t bother about your stuff being looked upon, then you may remove password login feature in windows 10 PC. 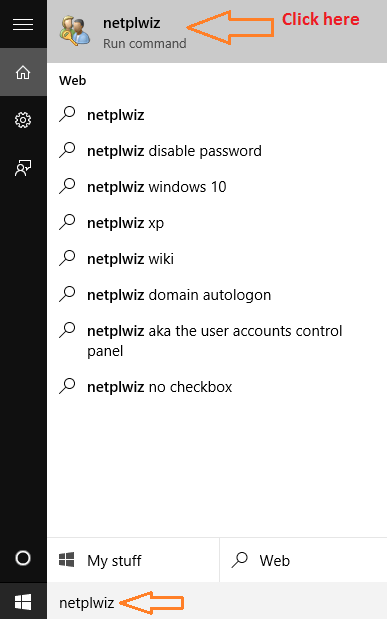 As far as i am concerned, i have already removed it as i am a frequent user of my PC and i live alone, i feel its weird to enter password every time, when i boot my PC. So, for those who want to remove password login in their computer please follow given below tutorial to do so. Note:- Before Proceeding to this Method Please Note that This Method will work Only, if you switch to a Local Account. This or any other method to disable Password Login will be futile if you are login with a Microsoft account. 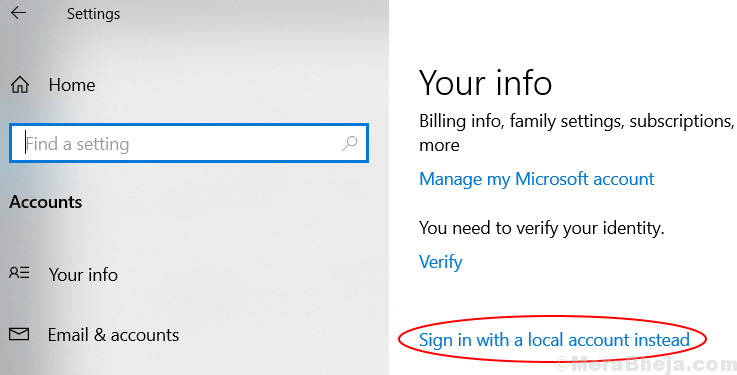 To switch to a Local account, Just Go to Settings > Accounts > Sign in With a Local Account Instead. 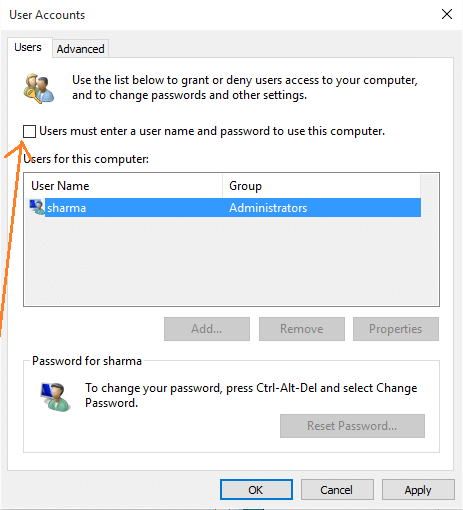 Step 2– Now user accounts info window will pop up. Now, select the user account for which you want to disable the password login. 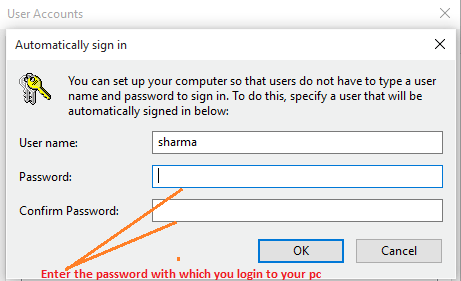 Now, uncheck the option which says user must enter a user name and password to use this computer. Now, press OK or hit enter. Step 3 – A new window will come out in which you have to confirm your passwords. Use password for your user account here and press ok button. Click Ok button and you are done. You will no longer required to enter password each time you start your computer. If you want to revert back password login feature, repeat the process explained above and check the field which says, user must enter a user name and password to use this computer. Now, enter the login credential to confirm the process.